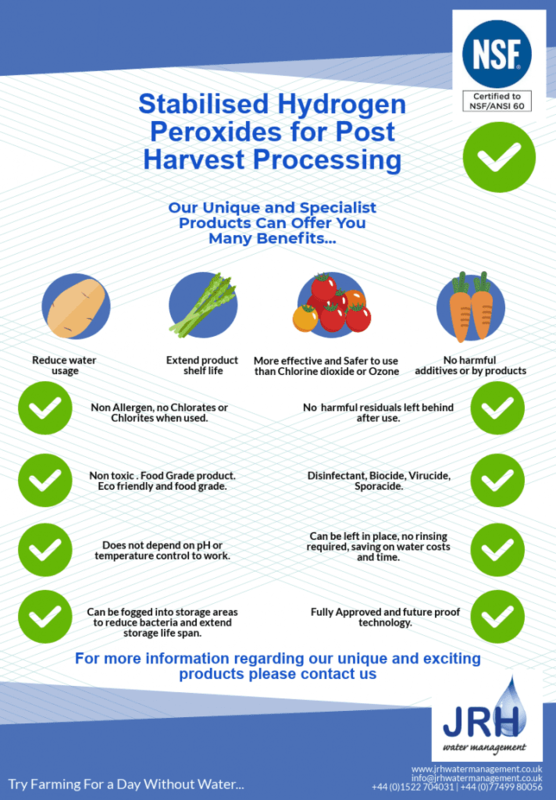 Historically Peroxides have been considered a very effective biocide agent, however due to their instability, their active life span was too short for practical usage and as thus were not cost effective. Our advanced stabilisers extend the efficacy far beyond those of standard Peroxides and even Chlorine and Quats. 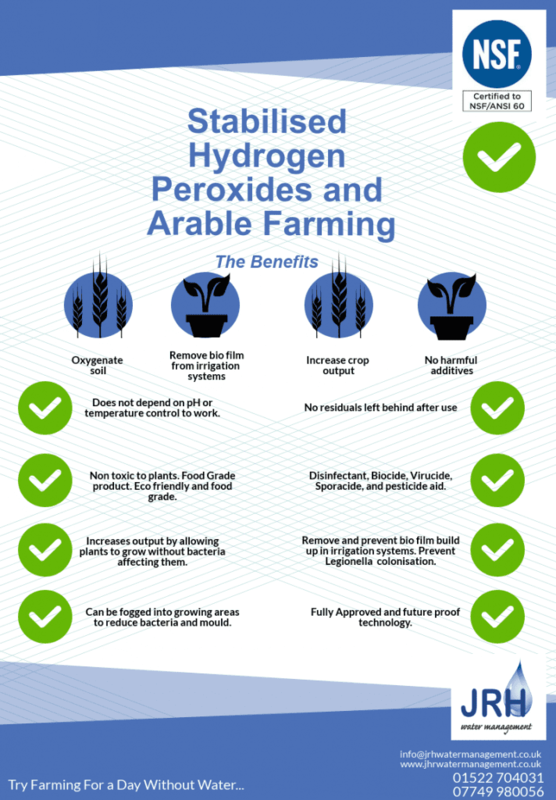 Stabilised Hydrogen Peroxide based Biodegradable Poultry Disinfectant addresses the concerned areas of poultry sheds when used accordingly for the respective media. The no-rinse, no-neutralization property makes its usage hassle-free. 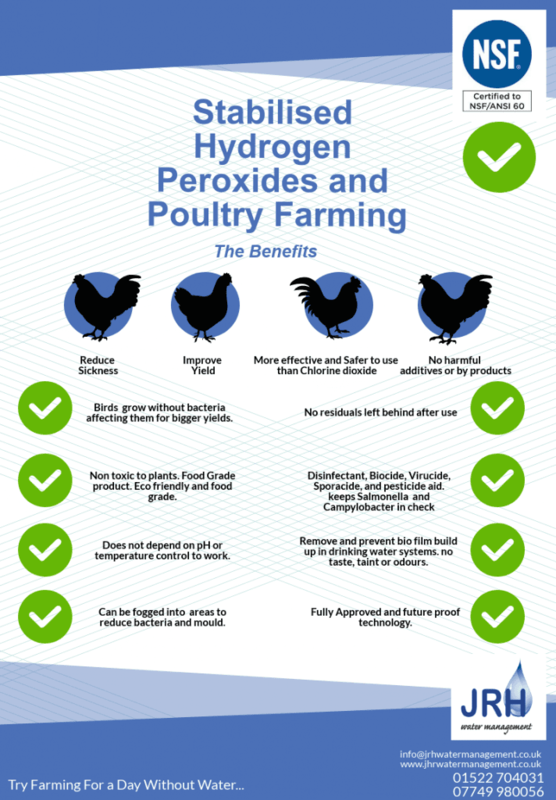 Eco-friendly water and oxygen residues make this biocide safe for animals safeguarding them against poultry diseases. This effective biocide is diluted at 3% concentration and fumigated using a fogging machine to disinfect various poultry shed areas. 17ppm of the product is added to water, by metered dosing pump rendering it both safe and sanitised. Diluted to 3% and safely sprayed on surfaces, or circulated through pipelines for an appropriate contact time, for clean disinfected surfaces. 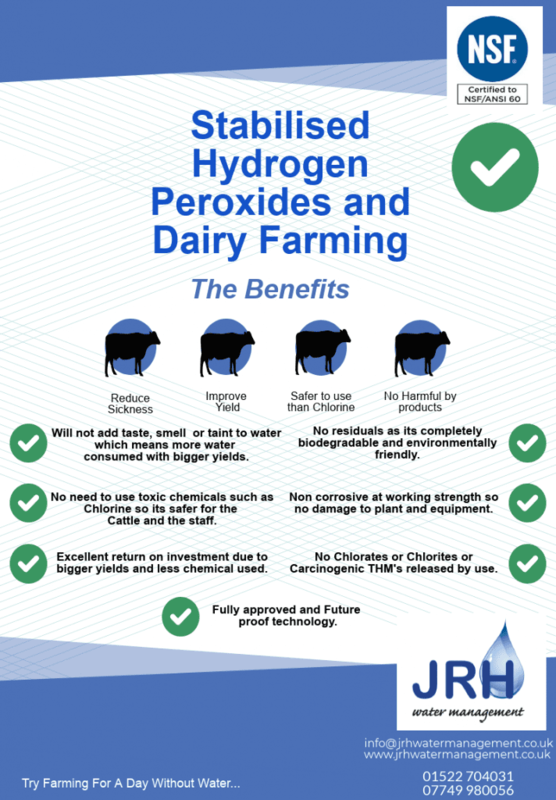 Stabilised Hydrogen Peroxide based Biodegradable Animal Husbandry Disinfectant addresses the concerned areas of cowshed when used accordingly for the respective media. The no-rinse, no-neutralization property makes its usage hassle-free. Eco-friendly water and oxygen residues make this biocide safe for animals. This effective biocide diluted at a given concentration and is fumigated using a fogging machine to disinfect an area. 17 ppm of the product is added to water, ensuring full sanitized water and rendering it safe for use. A dilution of this sanitizer can be used to safely spray on surfaces, or circulated through pipelines for an appropriate contact time. 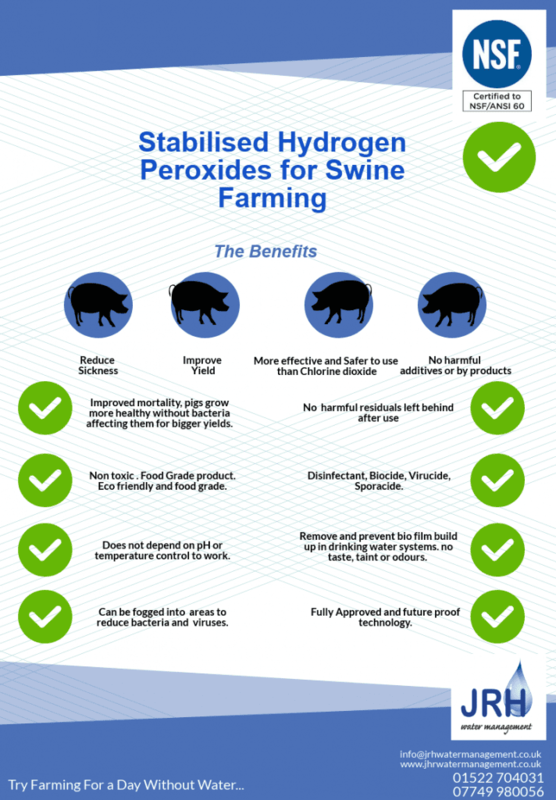 Stabilised Hydrogen Peroxide based Biodegradable Animal Husbandry Disinfectant addresses the concerned areas of pig pens when used accordingly for the respective media. The no-rinse, no-neutralization property makes its usage hassle-free. Eco-friendly water and oxygen residues make this biocide safe for animals. This effective biocide is diluted at a given concentration and fumigated using a fogging machine to disinfect an area. 17 ppm of the product is added to water of the pens, rendering it safe for use. The product carried along with the drinking water is effective on the water-borne microorganisms and as treatment to the internal intestinal wall infections. Netherlands – Greenhouse 2 x 6Ha – tomatoes. The greenhouse had suffered with “crazy-roots” in the tomato crop. Chlorine had been used in the past to disinfect the greenhouse which wasn’t working. The grower changed to Our Stabilised Hydrogen Peroxide during the clean-out for half his site. He disinfected the greenhouses in the SHP side by fogging and sprayed surfaces. The shock treatment of the irrigation lines was followed by continual dosage of 50 ml/m3 water. The result was that infection in the SHP treated greenhouses reduced from 20% to 0% within a very short period and in the chlorine treated half, crazy-root was present in ±50% of plants. The grower changed the whole site to SHP during 2012 and has not experienced any Agrobacterium rhizogenes since. 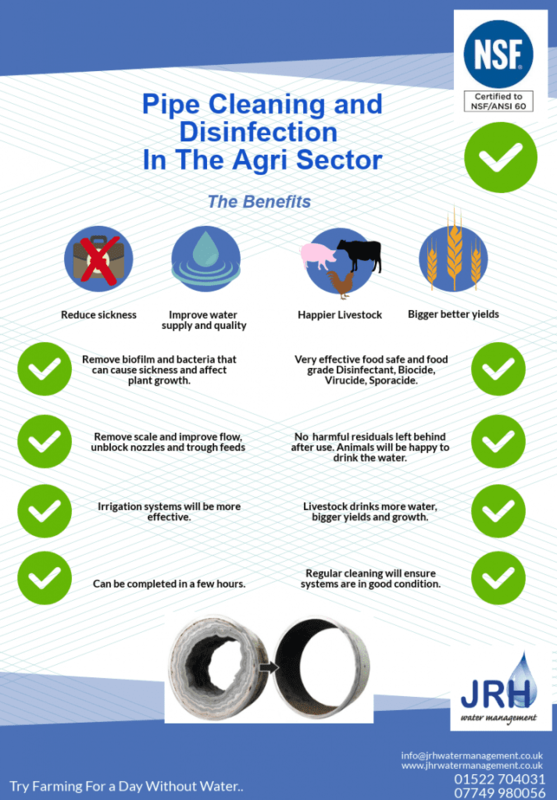 Biofilm consists of many bacteria forming a colony that lines the inside of pipework and water systems, this biofilm can protect harmful bacteria which may destroy crops or effect yield. By ensuring the water quality is at its best the plants can channel all their energy into growth rather that fighting of disease and infection, the result bigger yields. Fruit and vegetable washing and processing. Leave in place disinfection at 5%, saves time. Effective on bacteria, spores, mould and viruses including E.coli, Salmonella and Listeria. After shock treatment in the greenhouse, continuous dosing with SHP was installed. The system was initially dosed with 50 ml/m3 water (17ppm H2O2). Continual dosage maintains a clean system after shock treatment and water is no longer a source of plant disease. Continual dosage with SHP provides extra oxygen to roots, leading to strong root growth and stronger, healthier plants. Biofilm, bacteria, moulds, spores and viruses. No odour, taste or taint to upset the birds or animals, ensuring they drink plenty of water which gives bigger yields. Much more stable and effective at a wider range of pH and temperatures. Can be “left in place” at 5% so no rinse necessary, saving money and time. Very effective on bacteria, mould, spores and viruses. Can be Fogged, Constantly dosed (like chlorine dioxide) or used as a wash down sanitiser.